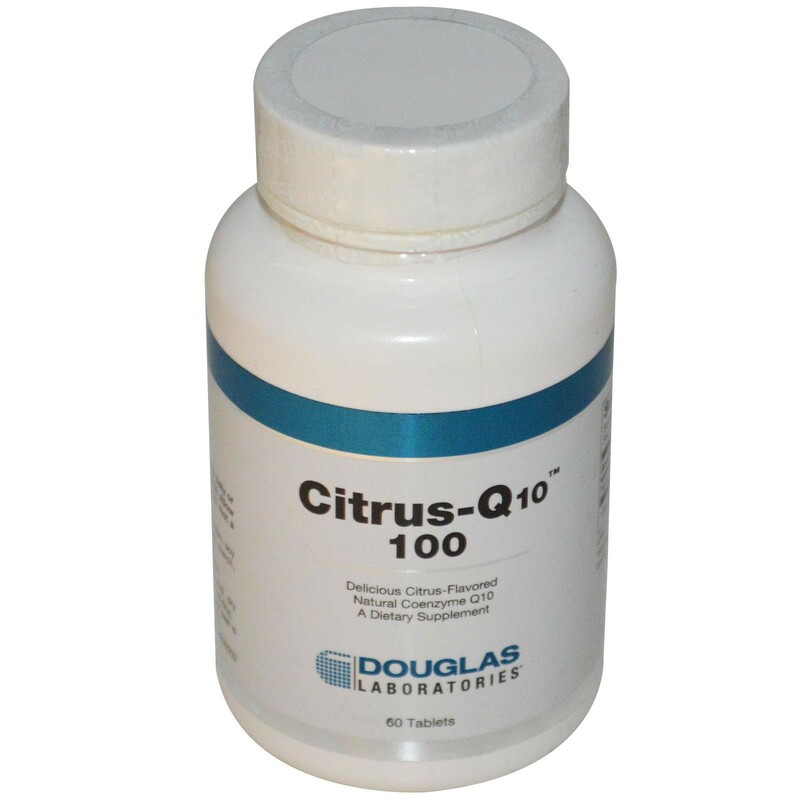 Citrus-Q10, provided by Douglas Laboratories, supplies naturally fermented coenzyme Q10 in a great tasting, natural citrus flavored fast dissolving tablet. 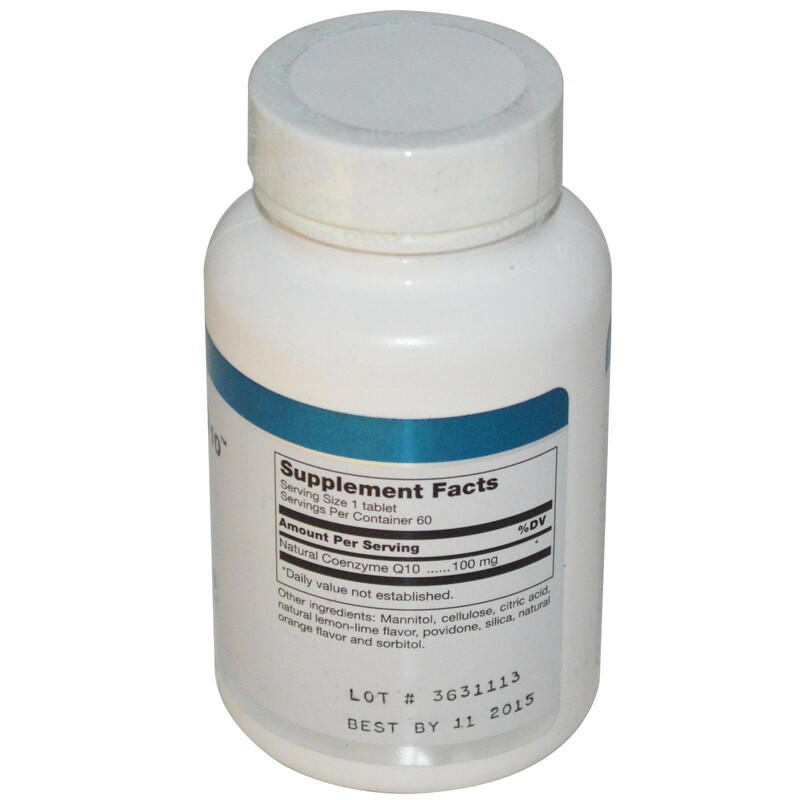 Citrus-Q10 100 contains no sugar, artificial colors or flavors and is suitable for vegetarians. 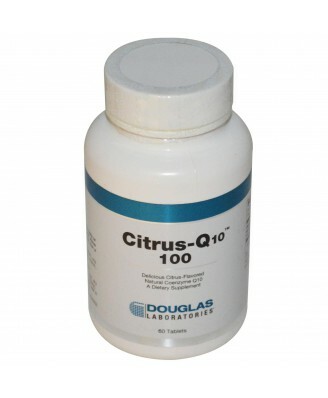 Citrus-Q100, provided by Douglas Laboratories, supplies naturally fermented coenzyme Q10 in a great tasting, natural citrus flavored fast dissolving tablet. Citrus-Q10 100 contains no sugar, artificial colors or flavors and is suitable for vegetarians. Mannitol, cellulose, citric acid, natural lemon-lime flavor, povidone, silica, natural orange flavor and sorbitol. For optimal storage conditions, store in a cool, dry place. (59°-77°F/15°-25°C) (35-65% relative humidity). Keep lid tightly closed after opening.